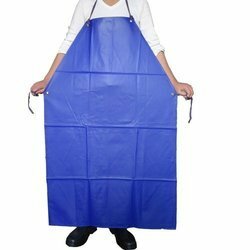 Owing to our experience, we have been successful in catering to the requirements of our esteem clients by offering quality PE Aprons. The offered range is manufactured by our experts employing latest technology and methods at our manufacturing unit. These aprons are appreciated by our clients for their quality attributes such as perfect stitching, skin-friendliness and disposable. Clients can avail the entire range in different colors, sizes, weight and thickness specifications as per their needs. 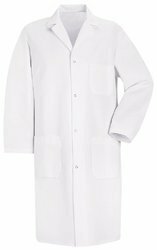 We also offer Laboratory Coats to our clients. We are providing different sizes like small, medium and large based on customer requirement and also we are manufacturing non woven tailored items can be designed and manufactured as per the client's specifications. 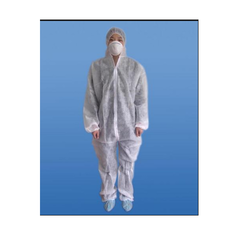 We also provide disposable lab shirt(Apron) and pant. With our expertise in this domain, we are able to offer a superior quality range of Disposable PE Aprons. These aprons are manufactured using high-grade LDPE/ HDPE by our professionals, which is sourced from the reliable vendors of the market. These aprons are widely demanded in clinics, hospitals, and laboratories. We are offering Disposable Shirt to our client as per their requirement. 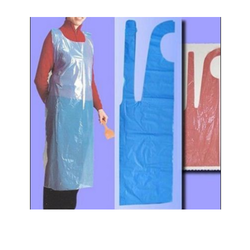 We are leading supplier of¿¿Plastic Apron. Client can avail this item from us as per their¿¿requirement.